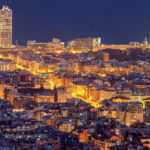 Girona whispers her Top 10 places to you! 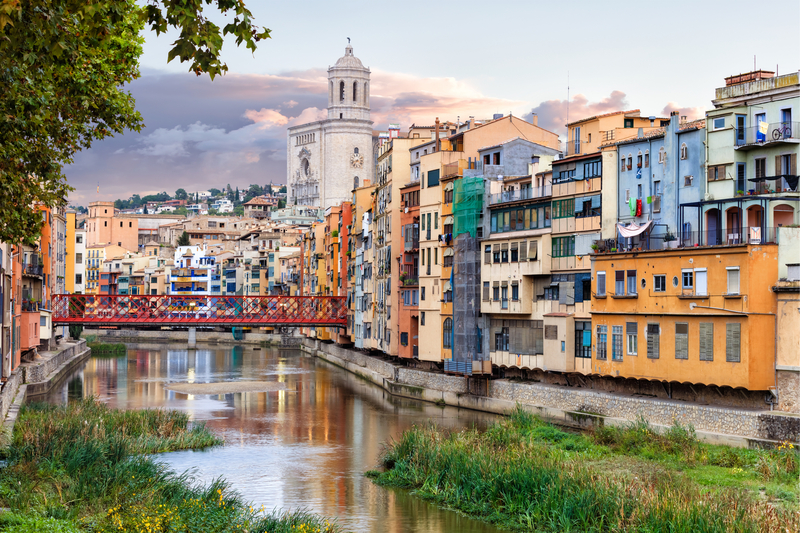 Discover the cozy Catalan hospitality of the amazing city Girona! Want to discover what the real spanisch life is all about?! GIrona will tell you! Stroll through the beautiful Jewish quarter with its narrow streets and listen to the stories the old buildings tell you. Prefer to relax? No problem, take a seat on one of the cozy terraces and observe the Spanish rhythm around you. Girona is a city you must see during your holiday! 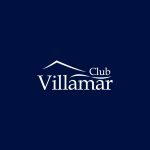 So put on your walking shoes and get out of your holidayhome or villa from Club Villamar and check out this wonderful and vibrant city! 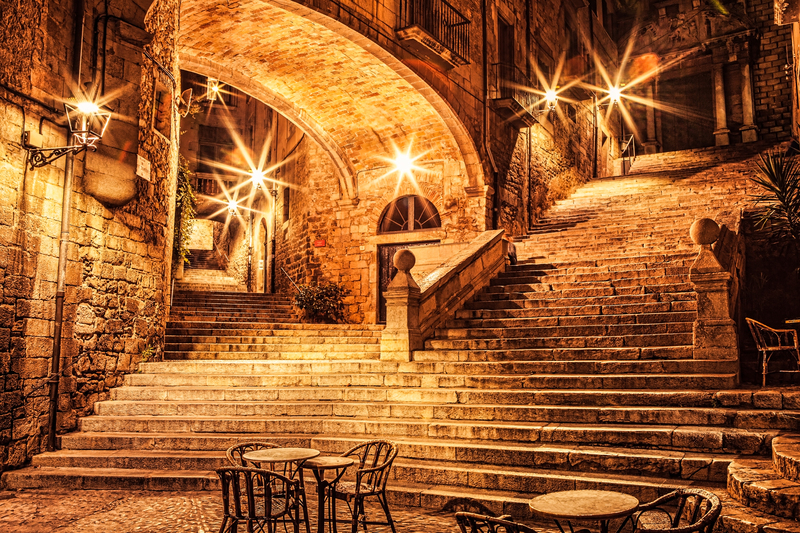 Like many other holiday makers you too will be amazed at what Girona has to offer you! Especially for you we have selected the best and most beautiful sightsso you won´t have to miss a thing during your visit in Gerona! We reveal you the TOP 10 hotspots of Girona! Walk along the cheerfull houses and little bridges in Girona. Girona is a beautiful city where two rivers run through, the Ter and the Onyar. The river Onyar is a famous river in Girona where beautiful bridges have been built over, including the famous Pont de Ferro which was built by Gustave Eiffel. Do you remember him from the Eifelltoren in Paris? 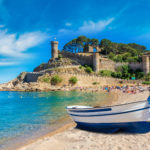 When you go to Gerona you must visit this hotspot for sure! Take a walk along the river and bridges and take a look at the beautiful colored houses that were built in the Middle Ages. Don´t forget your camera, because I can tell you this is certainly without doubt the most photographed place in Girona! 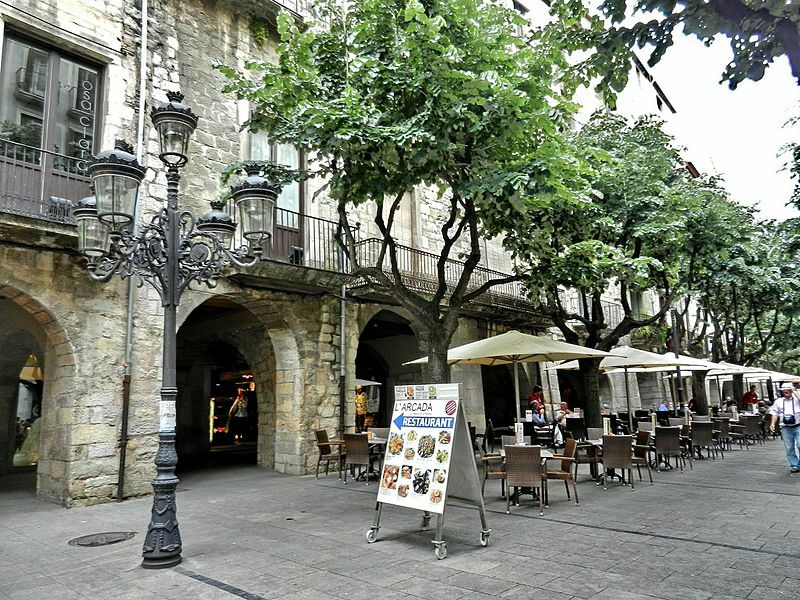 One of the liveliest and nicest places in the city of Girona and very popular among tourists! Go wild in the many shops or enjoy the surroundings of the city on a terrace with a refreshing drink and some delicious tapas. You can actually just sit all day here and just look around you, admire this beautiful part of Girona which has been the official marketplace since the Middle Ages. From the Rambla you can also see the back of the colored houses along the Onyar which creates a beautiful scenery. Take a ride with the fantastic litlle city train and get off at this beautiful hotspot in Girona! 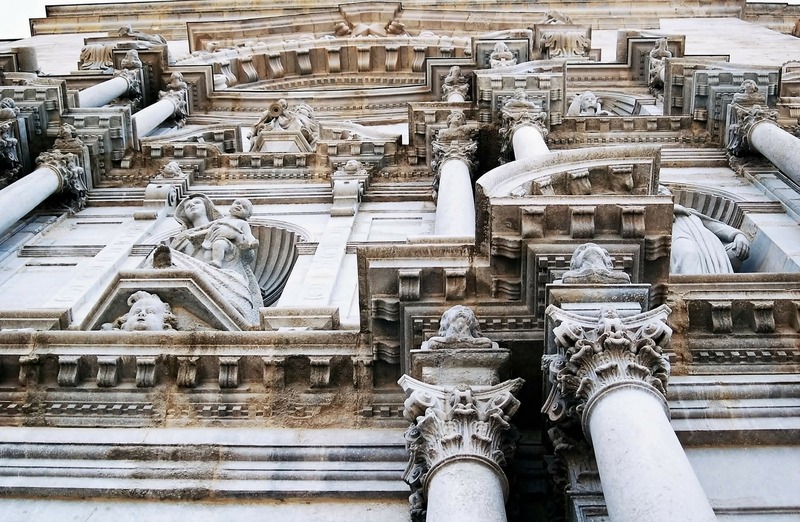 You will find this cathedral in the old part of the town Girona at Plaça de la Catedral. Are you ready to walk the thousands steps up to the cathedral! We can promise you, the climb is really worth it to take a look inside this huge and impressive building. Do you prefer to check this beautiful 14th century Gothic Cathedral from below? Enjoy the view from the little terrace you can find here. 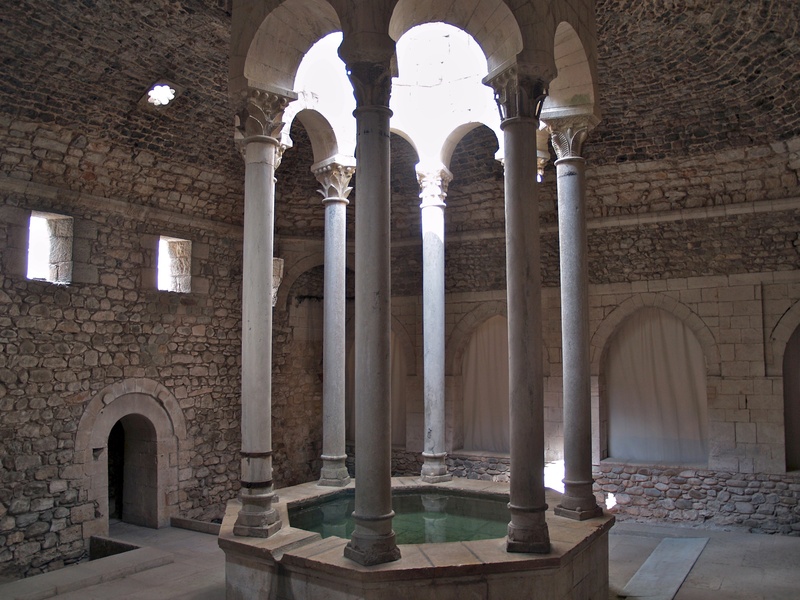 Many call it one of the highlights in Gerona, the beautiful Moorish baths. And we are going to reveal you a small inside detail! For only 2 euros you can visit these magnificent ruins that were built in 1149. Like all previous visiters I think you will also be impressed to see how the rooms together form a traditional bathhouse. Although it is only a small place, but it is a valuable experience! Do you like the cinema and movies? Then you will love this museum just as much as all the other movie fans! 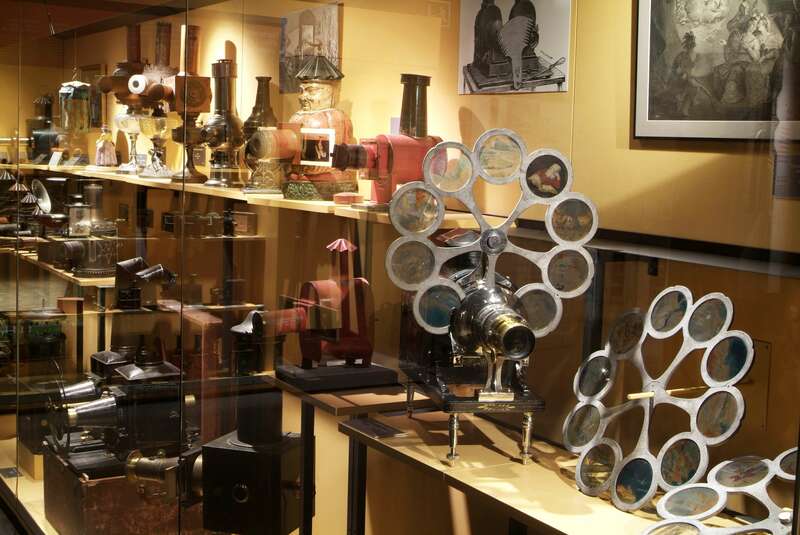 In the new part of Girona you will find this interesting museum where you can learn everything about the history of the film industry up to present day. But also how the cinema was invented and how a film is put together. View old equipment and shop in the store for books, magazines and movie posters. Maybe you can even find that collecters item you´ve always wanted! History comes alive in the Jewish district of El Call. Wander through the well preserved quarter with its narrow streets, alleys and stairs shops and think how life would have looked like here 500 years ago. The buildings tell their secret stories to you! Do you want to learn more about the Jewish history? You can discover it all up here! Immerse yourself in the history at the museum you can find in this neighborhood. Whether you enjoy walking or not, a must is a visit to the old city wall of Girona, Passeig de la Muralla. 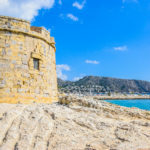 Not only the old restored wall is interesting to look at, but when you walk along the city walls you will be amazed – just like everybody – of the incredible views you have up here! So don’t forget your camera! Believe me, from here you can make some of the best pictures of the beautiful city of Girona! A valuable tip from us: take your sunscreen and water with you because in the summer it can be hot up here! Walk along the wall and discover Girona from above! In the shadow of the cathedral is the smaller but definitely not less beautiful church Església de Sant Feliu. Again, this is another interesting piece of history of the city Gerona. 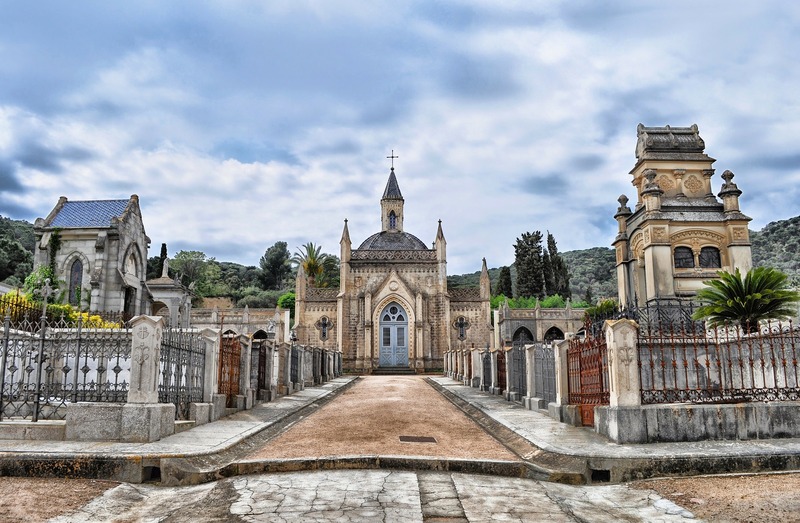 This church is in fact built on top of a series of tombs from the 4th century. It is a small, but very old church. And please do us and yourself a favour and also have a look inside the chapel so you can see the impressive marble tomb. Are you starting to get hungry from all that sightseeing?! Plop yourself down on one of the several terraces or restuarantjes around the church. You can enjoy lunch while enjoying the magnificent view of the charming old town. 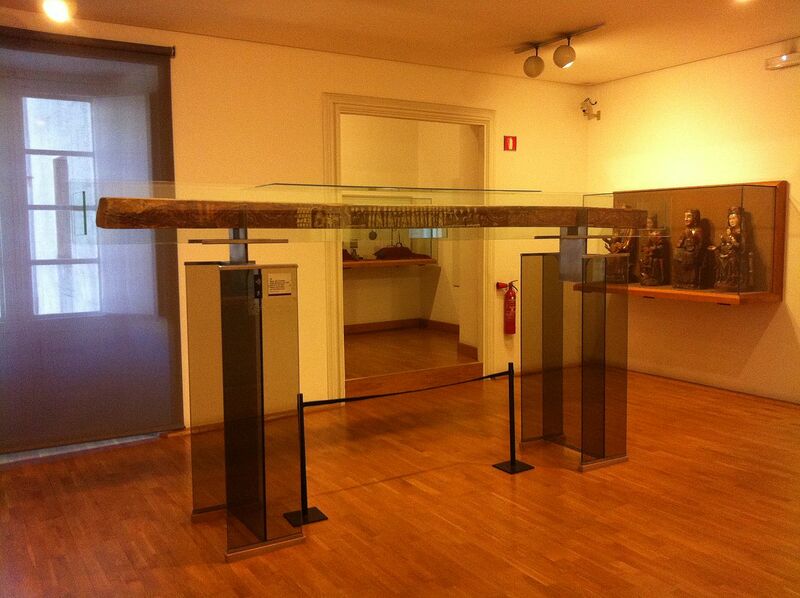 If you love art, you will love this museum in Girona! Take a look at the religious artworks, including furniture, ceramics and glassware from the 10th to the 14th century. But also pieces from the 20th century. In my opinion the most impressive part of the museum is the Gothic and Baroque art department. And. the best thing is, the entrance will cost you only 2euro! Definitely worth a visit don´t you think? You know the drill. You’re only a day in Girona and you want to see and do as much as possible! But, how are you going to manage it all?! We have the solution for you .. Rent a bike! 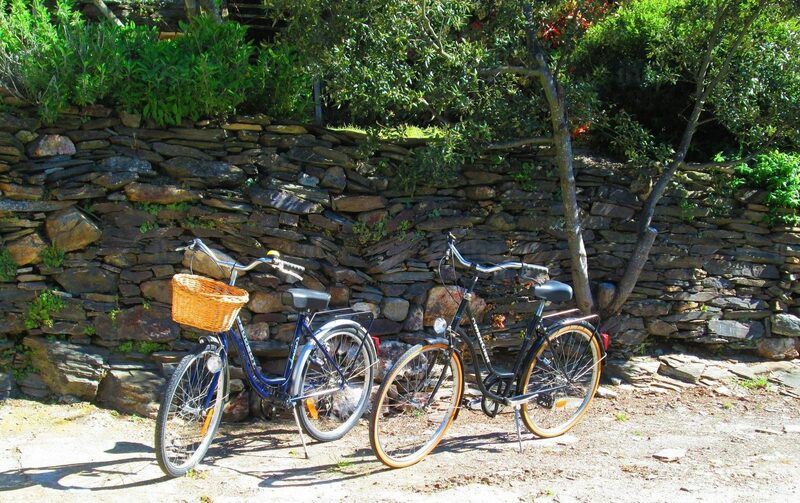 At Ciclo Tourism you can rent a bike and you will also get several different routes. Because yes you don’t want to ruin the great atmosphere of a fun day by arguing with your partner about getting lost in Girona, now would you? Exactly, a great experience! Girona the beautiful old town of Catalunya! 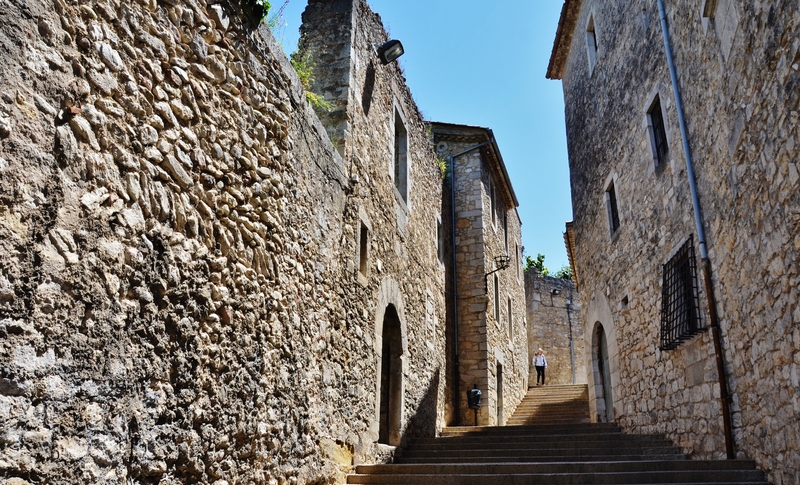 Can you already see yourself going back in history and discovering all the secrets of Girona?! In every little corner and alleyway Girona is wispering her story to you. Stroll along the beautiful old buildings and neighborhoods of the city and visit the interesting museums where you can learn lots of fun new facts. Indulge yourself in one of the charming Spanish bars and restaurants or walk along the wall and see the whole city from above. Whatever you do, you can´t go wrong in Girona! 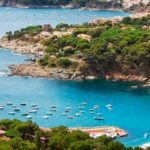 From your villa or holiday home from Club Villamar which is located in one of the popular resorts in the Costa Brava you will be in no time at this amazing historical city. 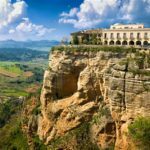 Find out which great resorts are in the surrounding of Girona, to make your perfect complete and perfect! 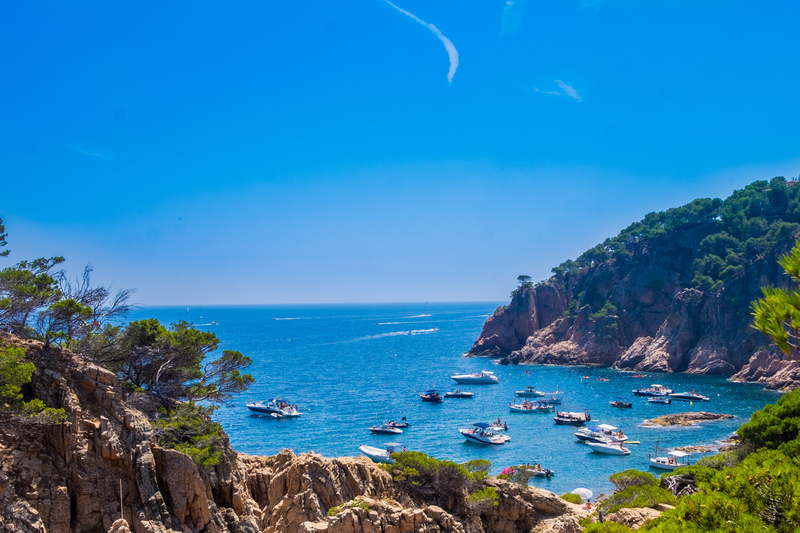 Read everything about the Costa Brava here.